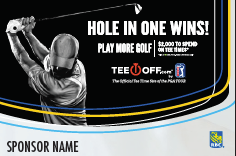 Royal Bank of Canada and National Hole-in-One have been proud partners for over 10 years. In that time, we have been able to facilitate turn-key golf events for hundreds of their branches. The RBC package is the perfect way for a branch to support their community with outstanding prizes and custom signage to advertise and showcase their individual branch. 2. Provide the tournament date, golf course and number of golfers. 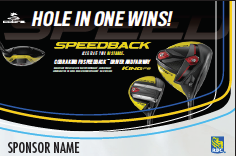 If any golfer hits a hole in one, they win the corresponding prize. 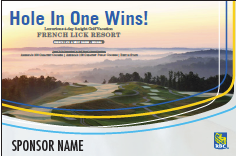 Call National Hole-in-One and you are guaranteed to receive the best pricing, strongest coverage, highest quality signage and unmatched customer service.